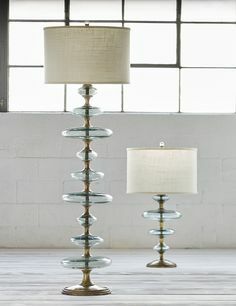 PALECEK Hand-blown recycled glass discs layered on a key gold metal base. 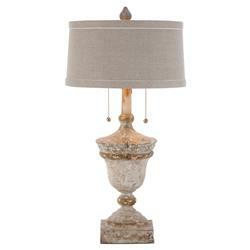 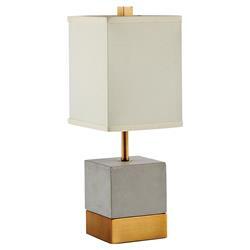 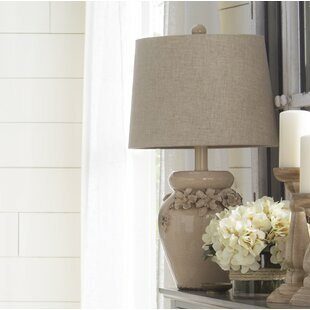 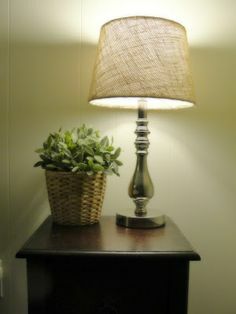 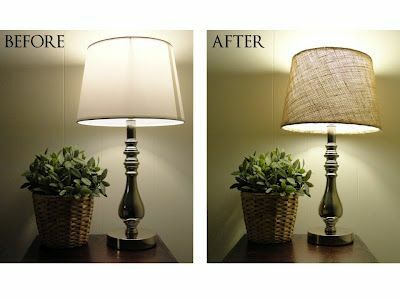 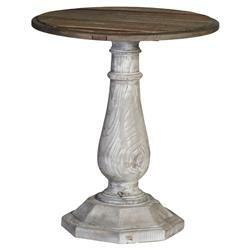 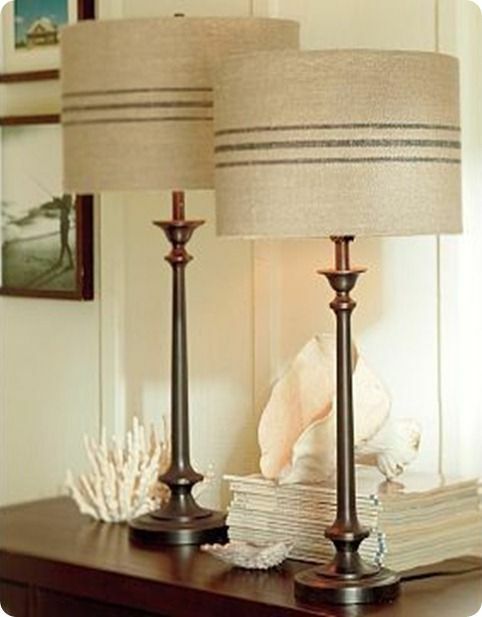 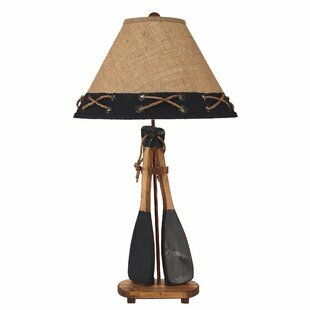 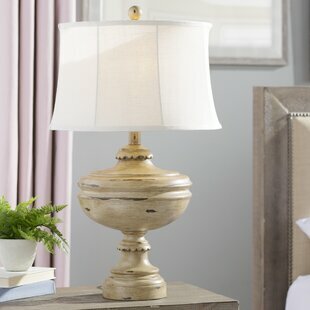 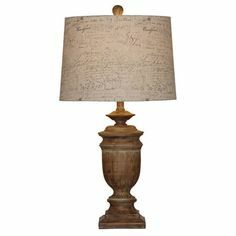 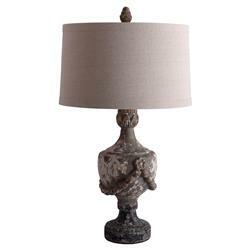 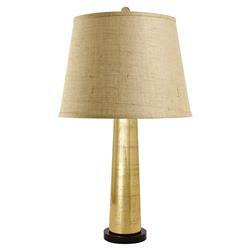 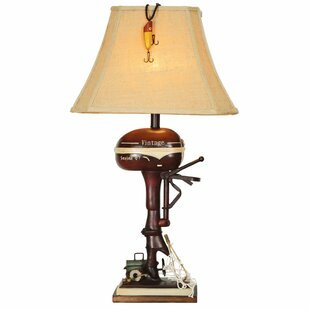 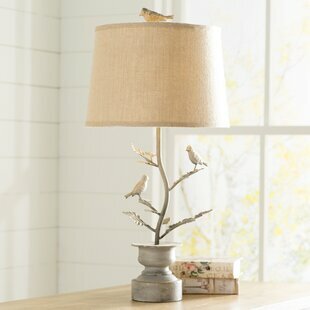 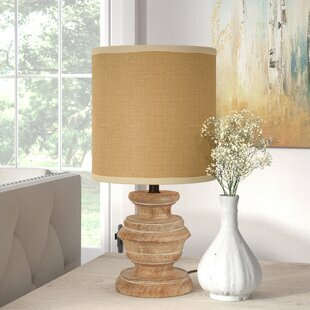 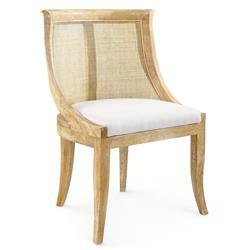 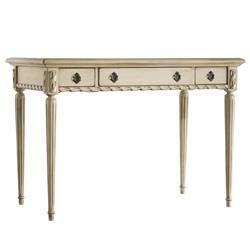 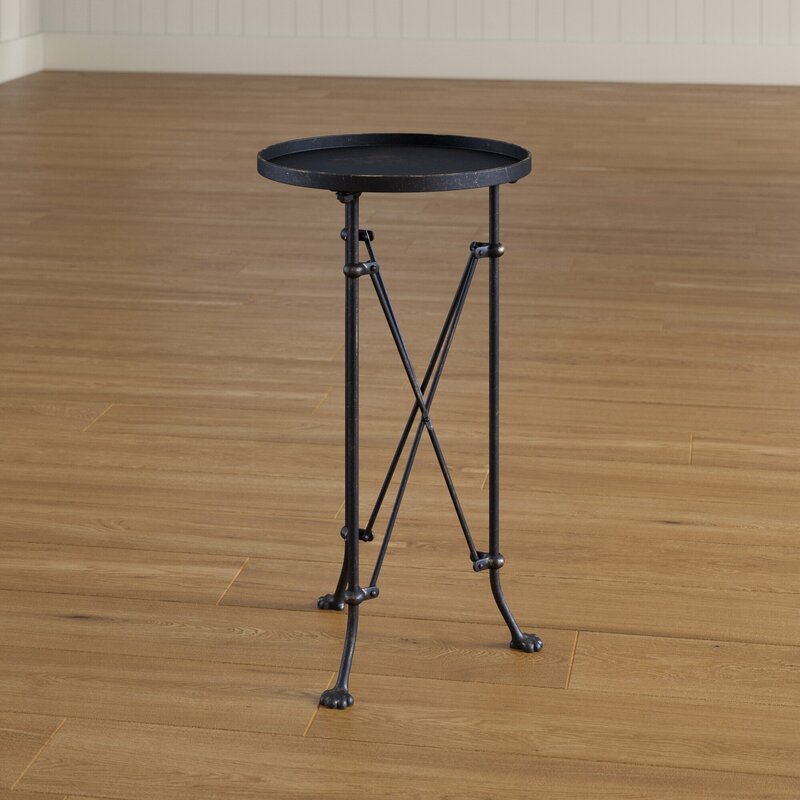 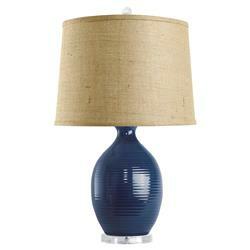 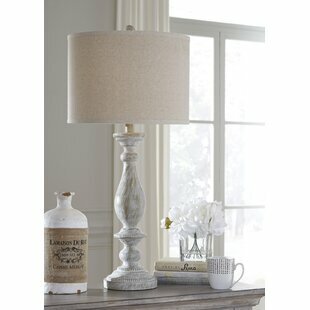 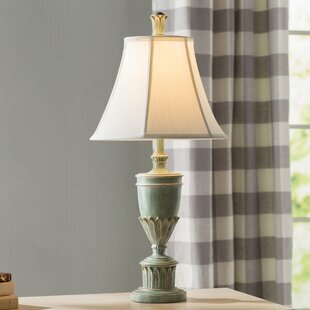 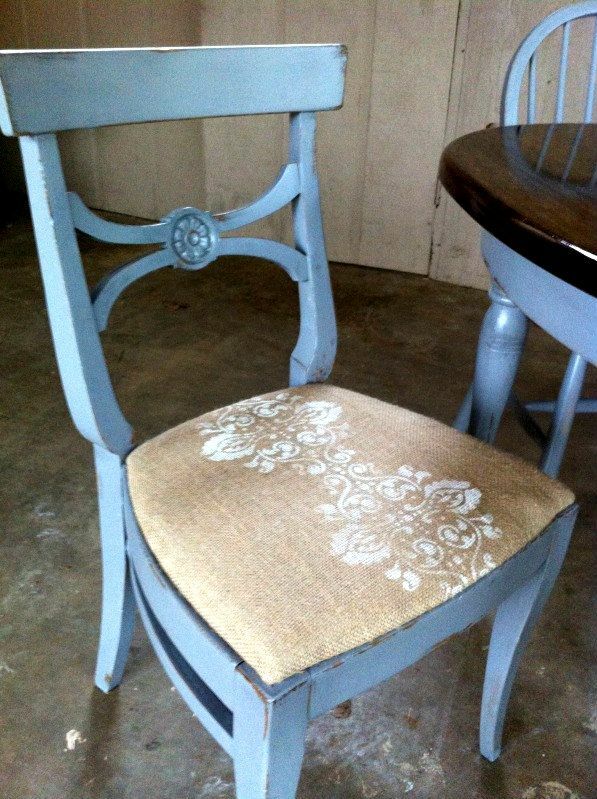 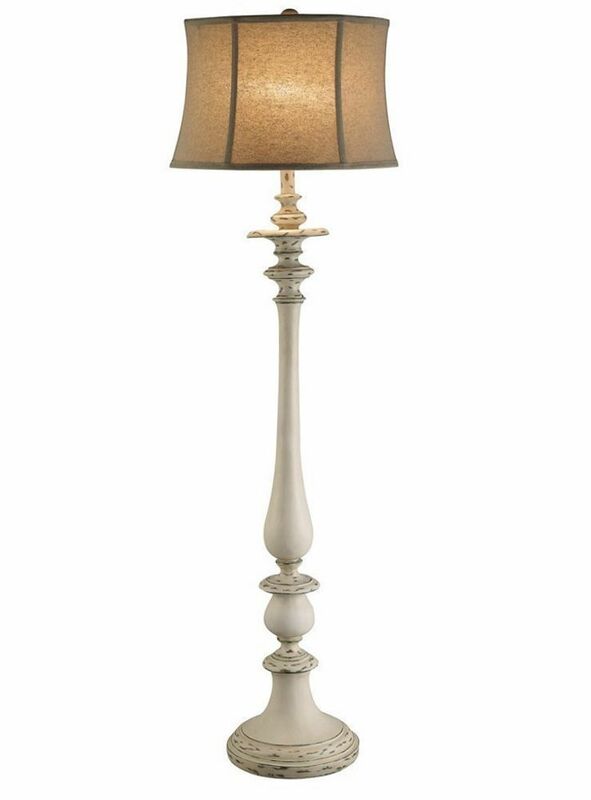 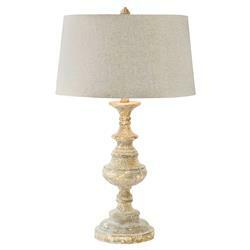 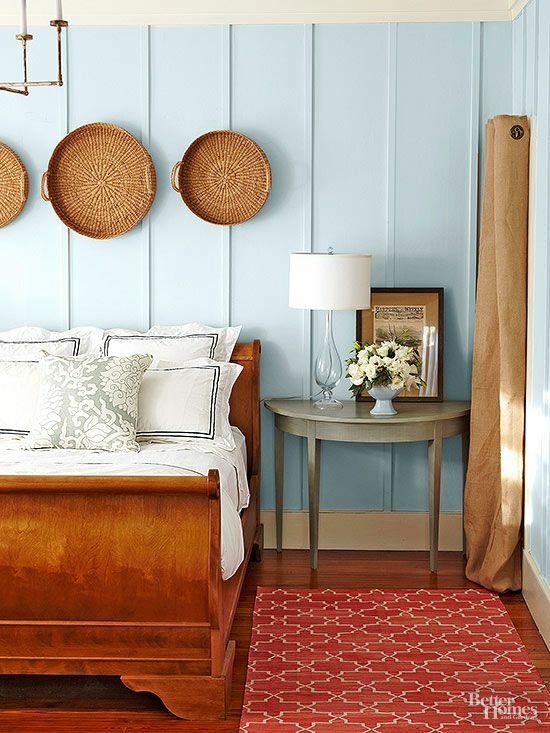 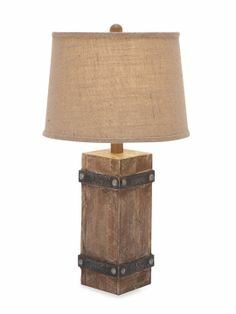 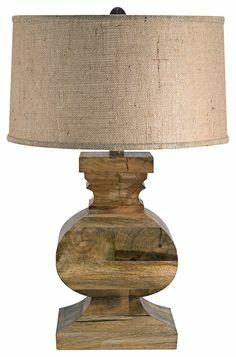 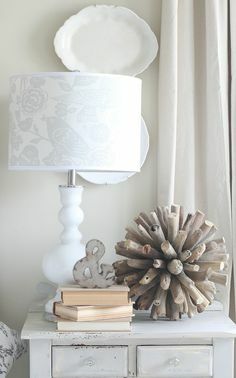 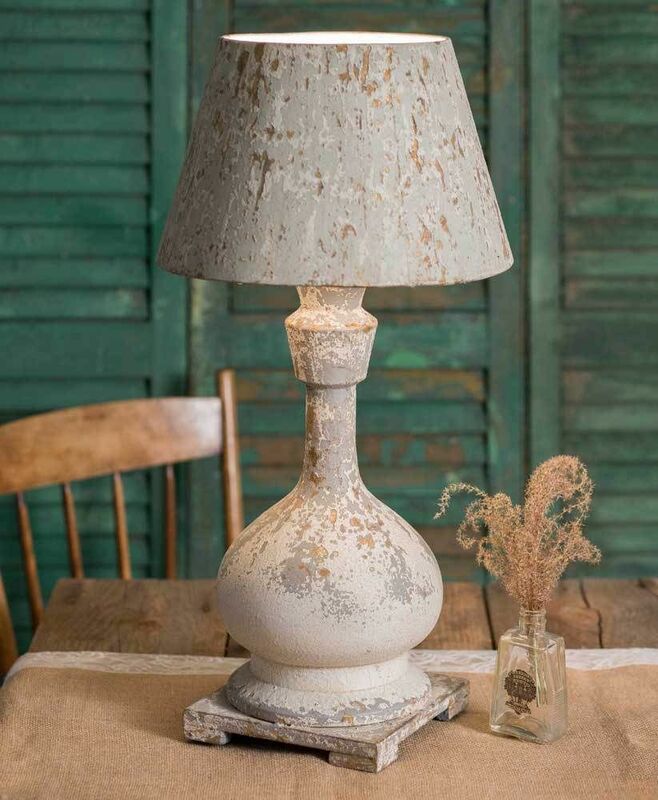 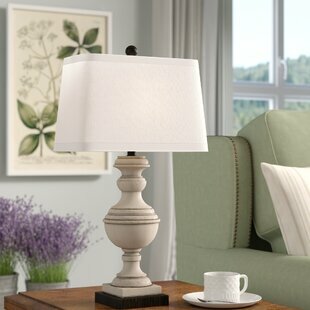 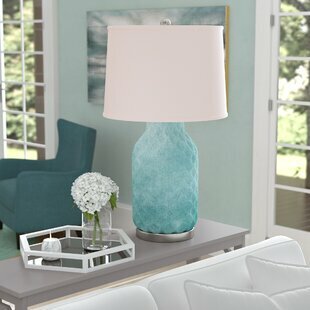 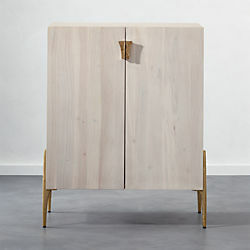 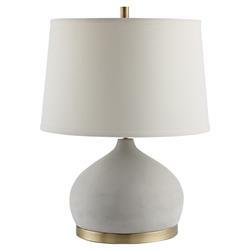 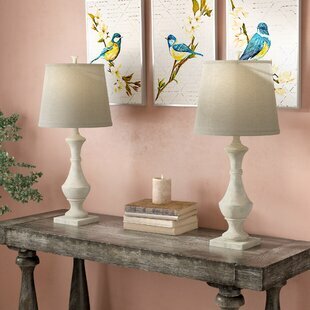 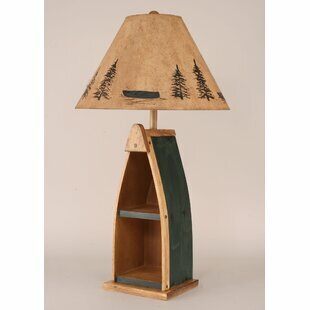 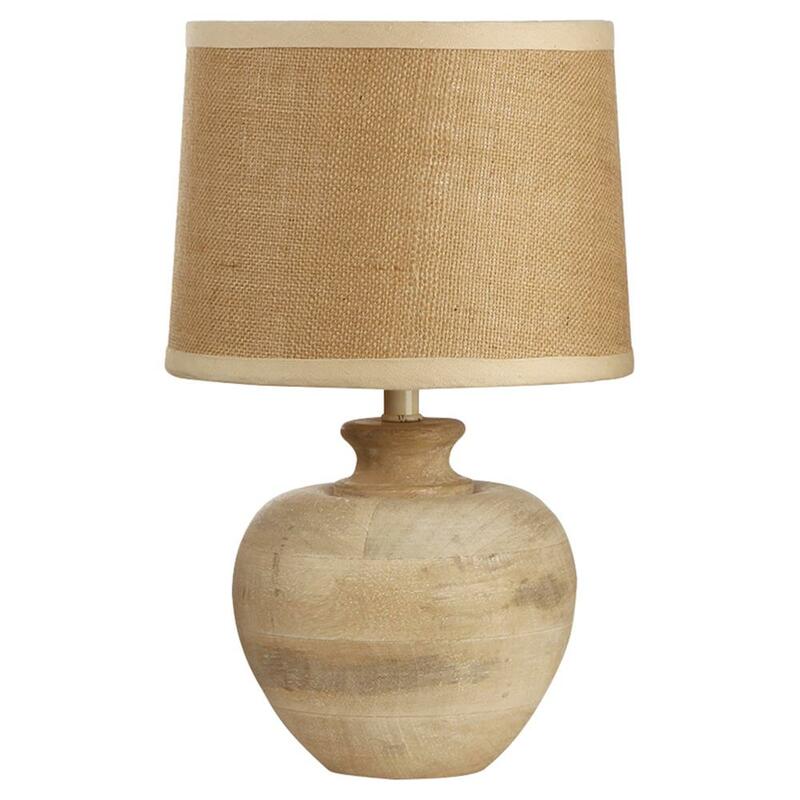 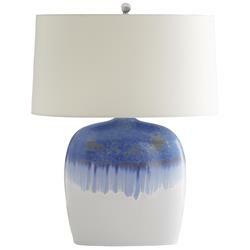 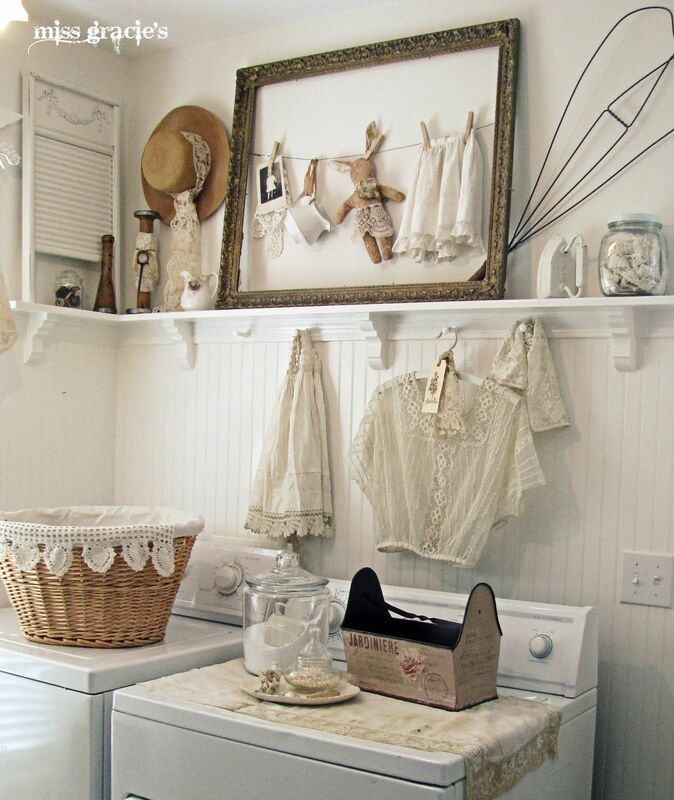 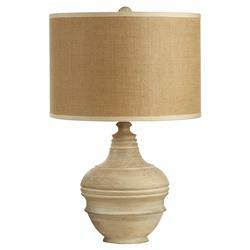 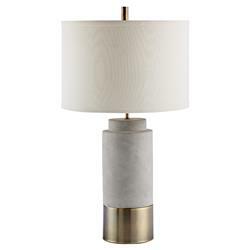 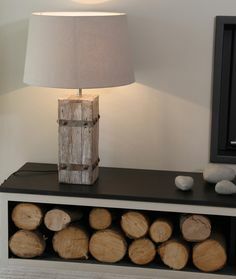 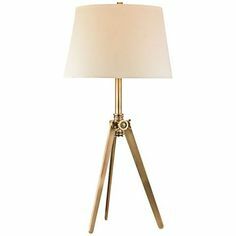 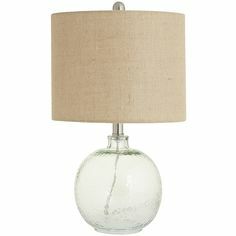 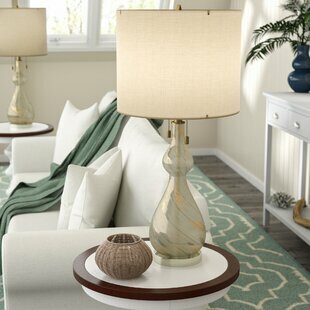 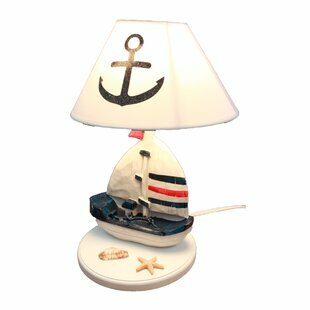 Topped with a cream burlap round drum shade and a glass and metal finial. 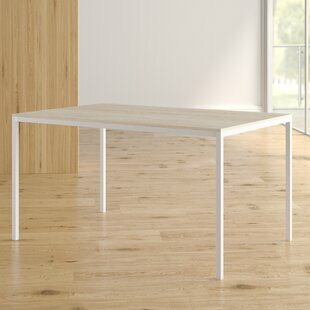 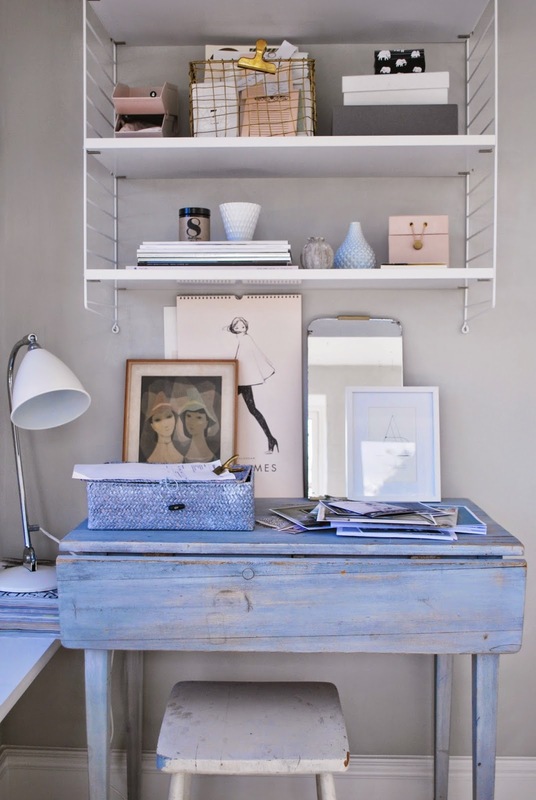 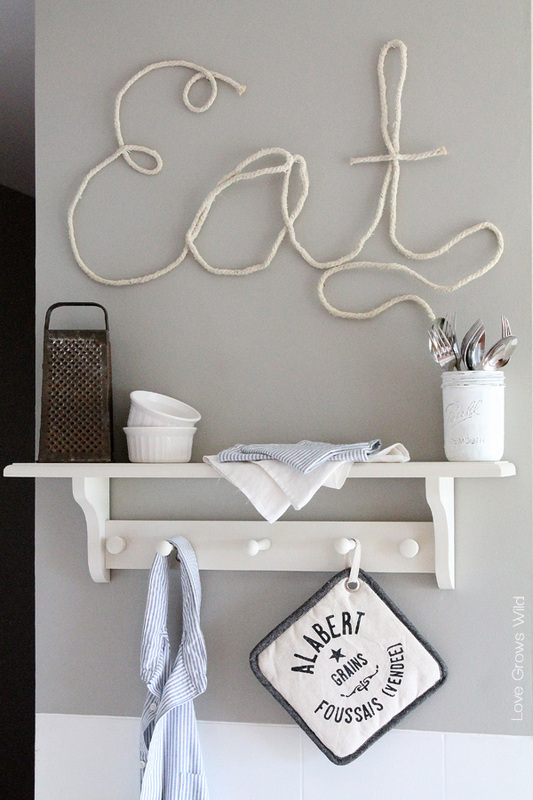 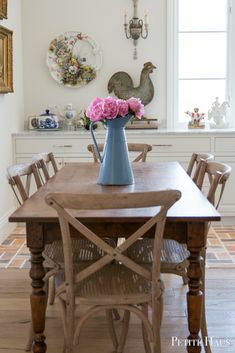 Breakfast Area Refresh and My New Farmhouse Table! 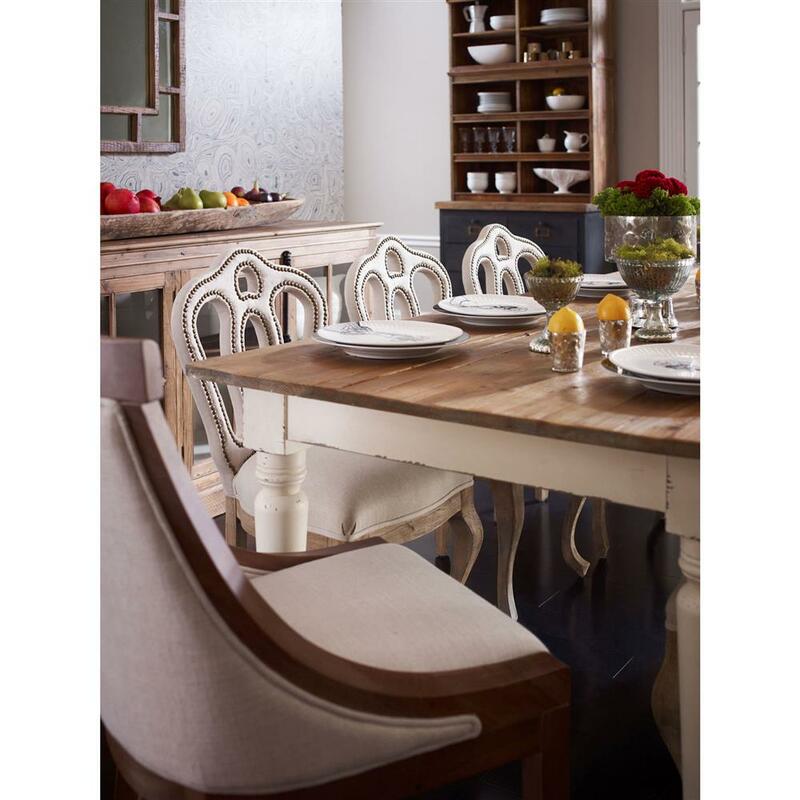 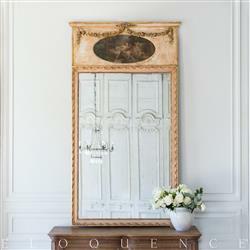 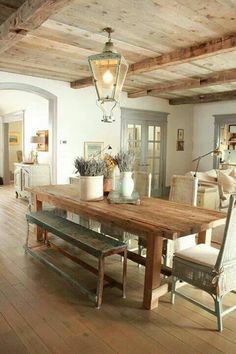 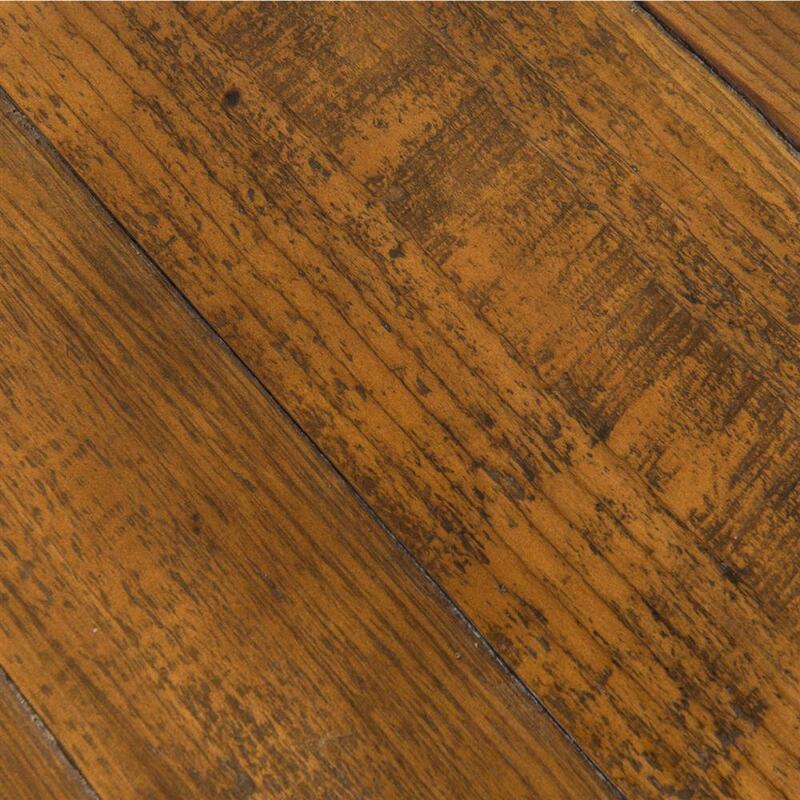 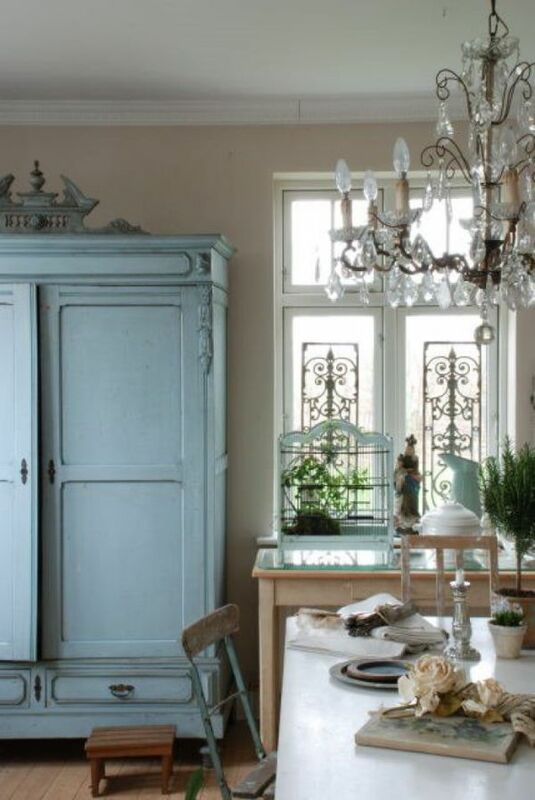 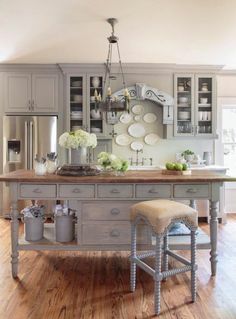 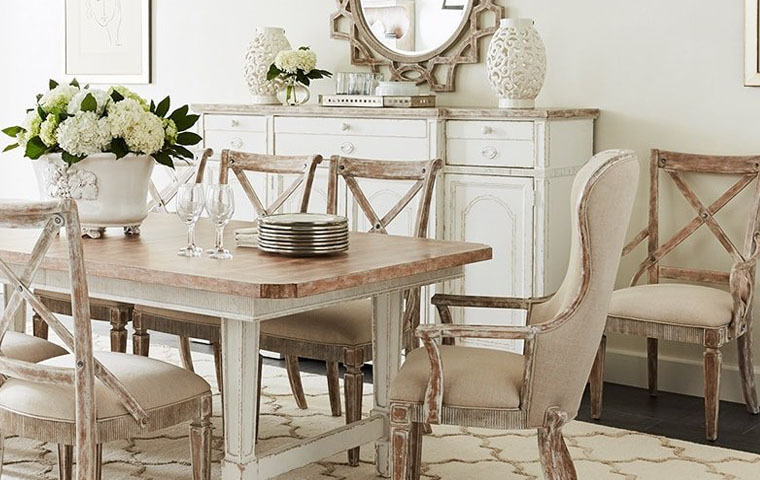 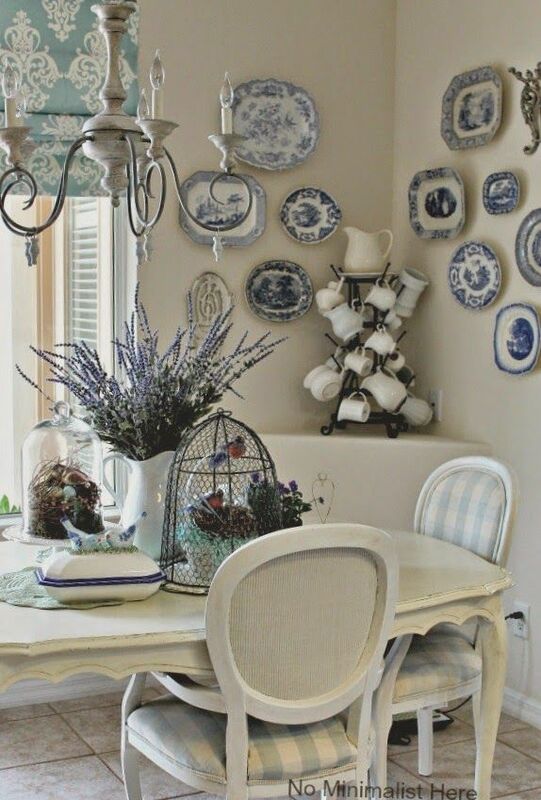 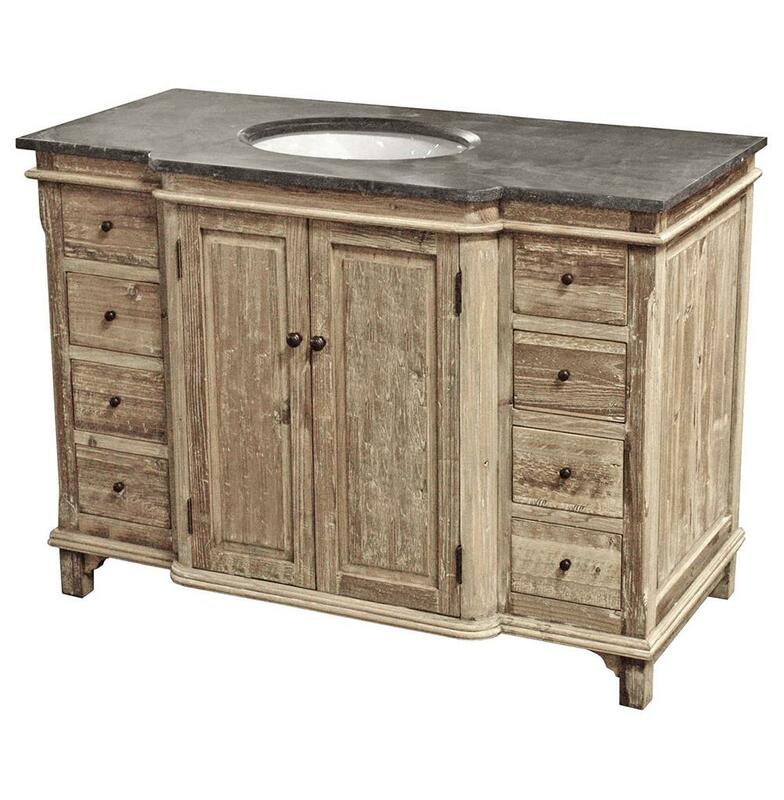 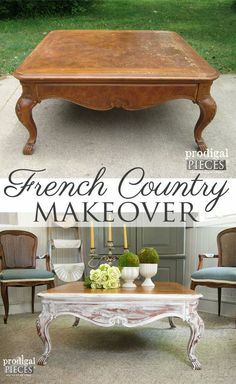 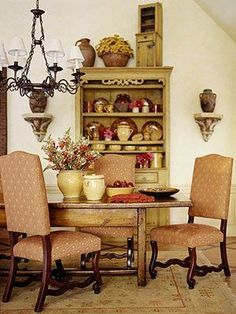 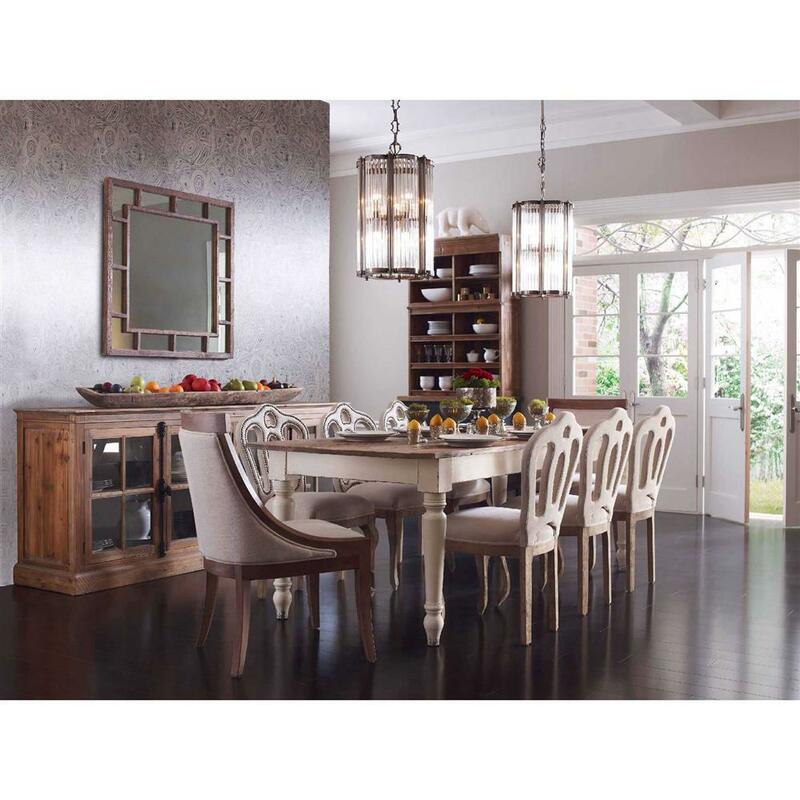 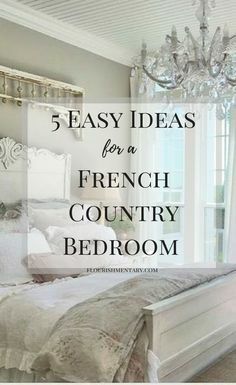 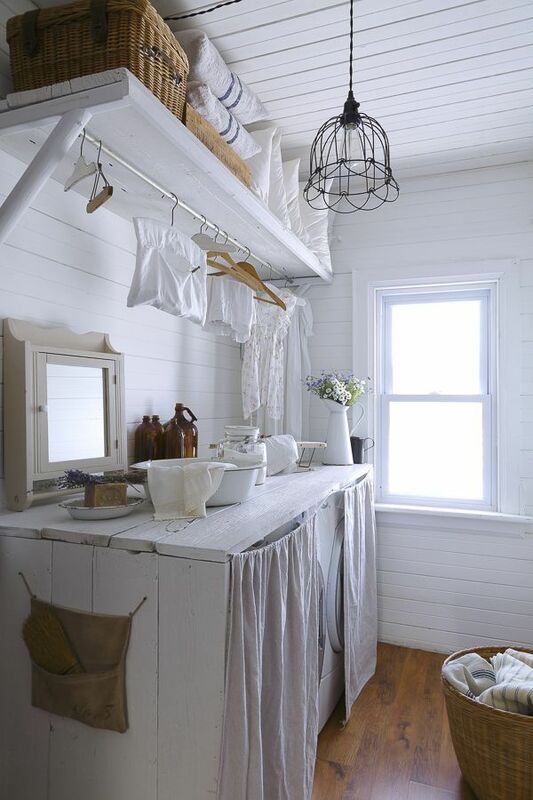 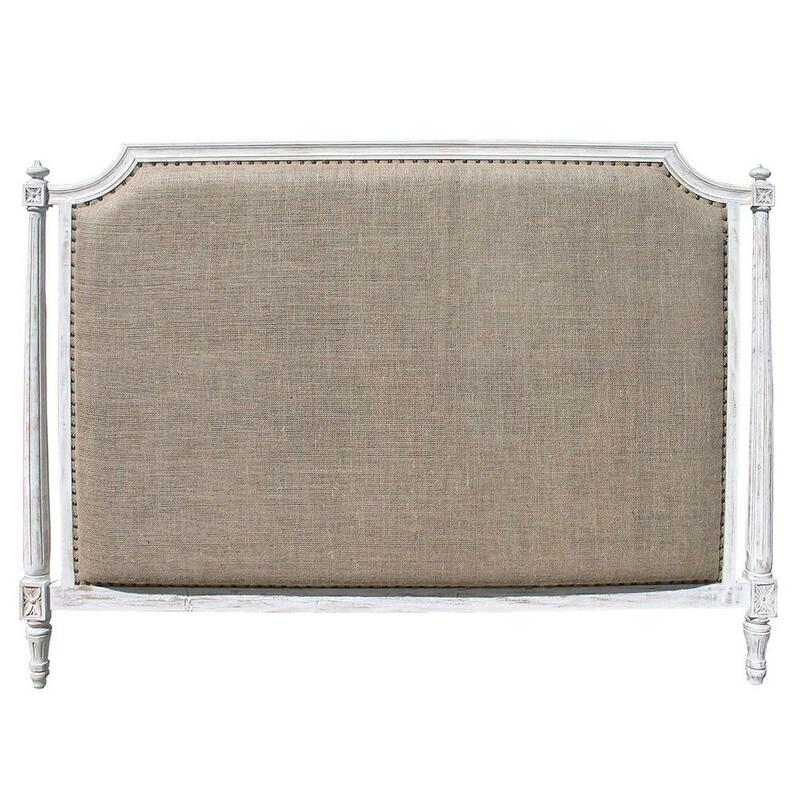 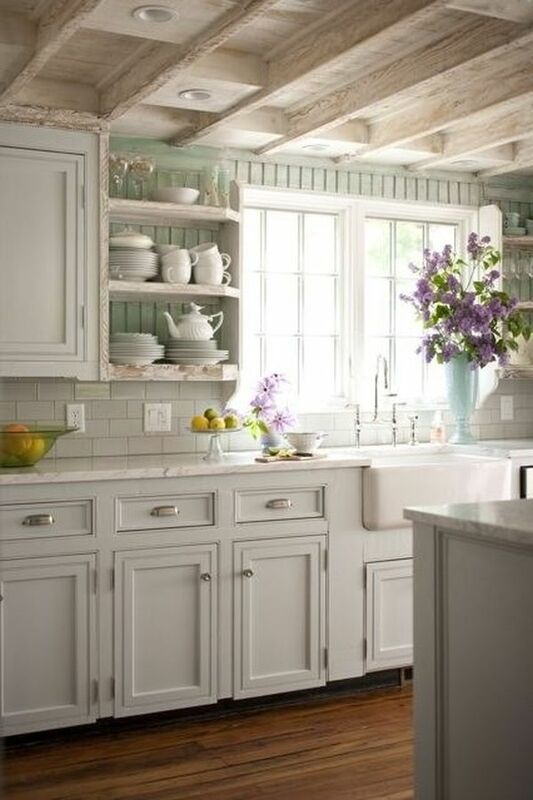 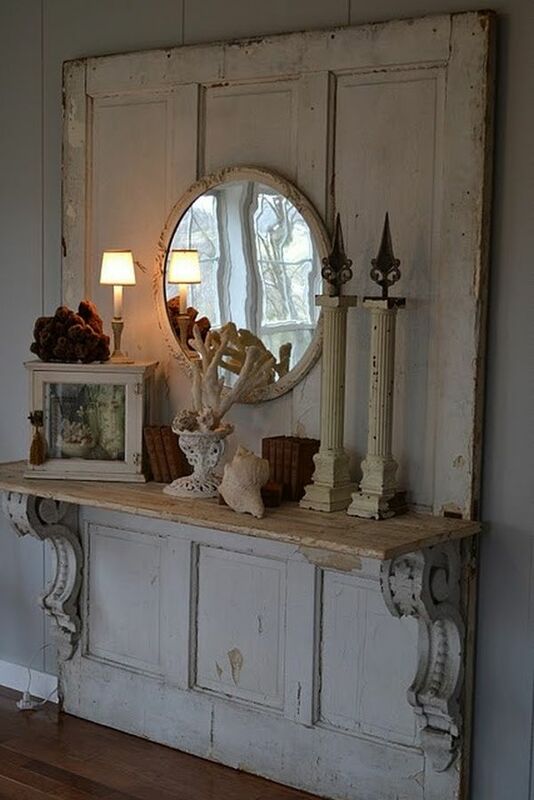 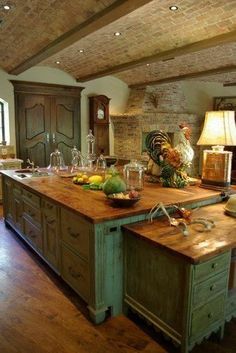 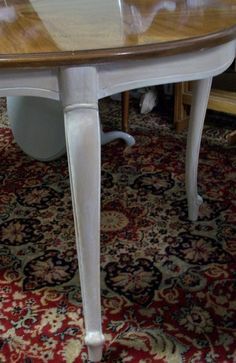 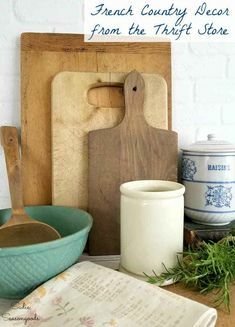 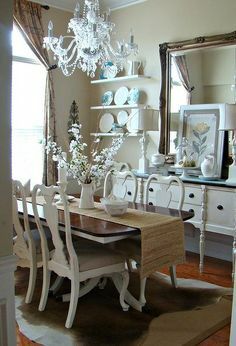 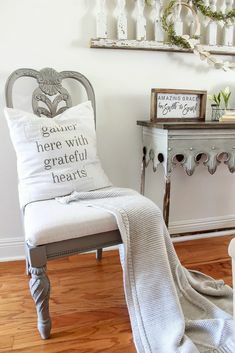 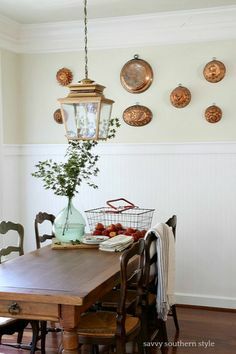 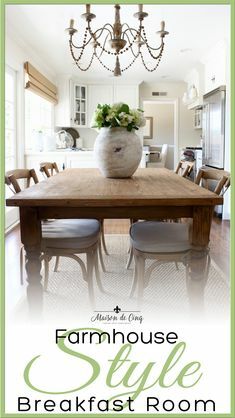 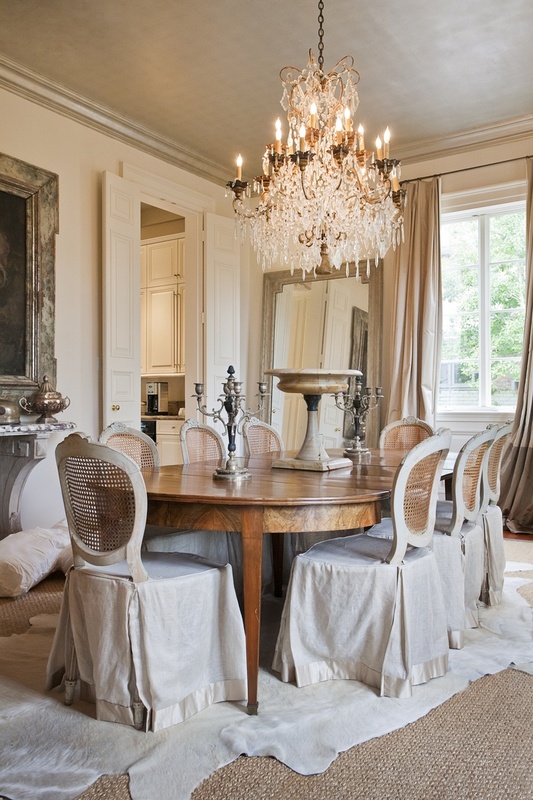 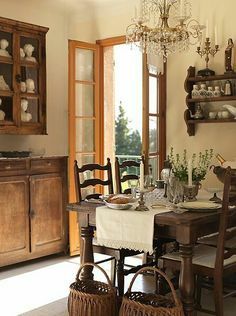 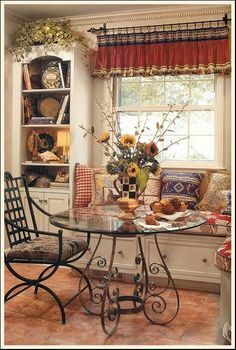 French Country Dining Nook- While the outdoor furniture is pretty, I don't think it would be comfortable; which is a hallmark of French Country. 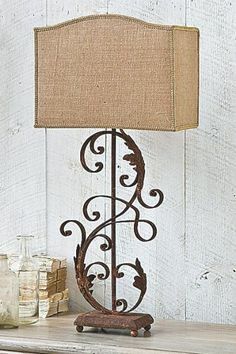 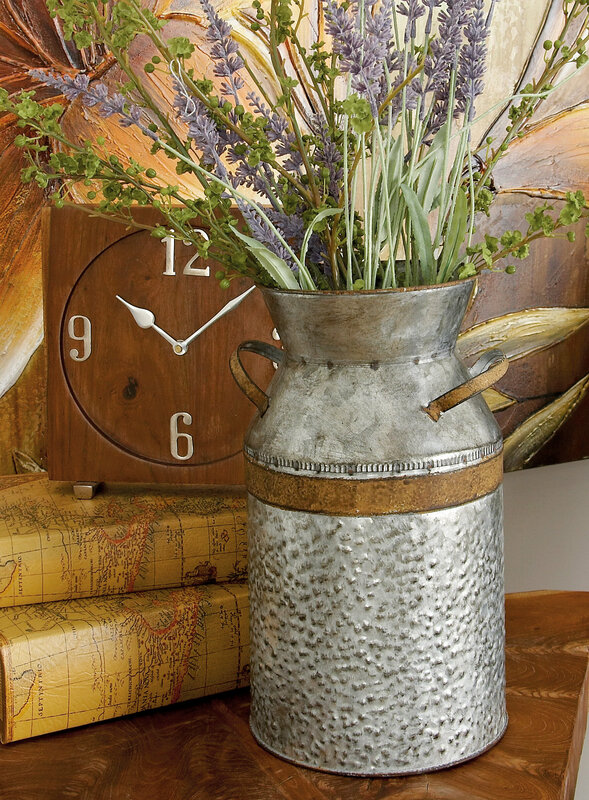 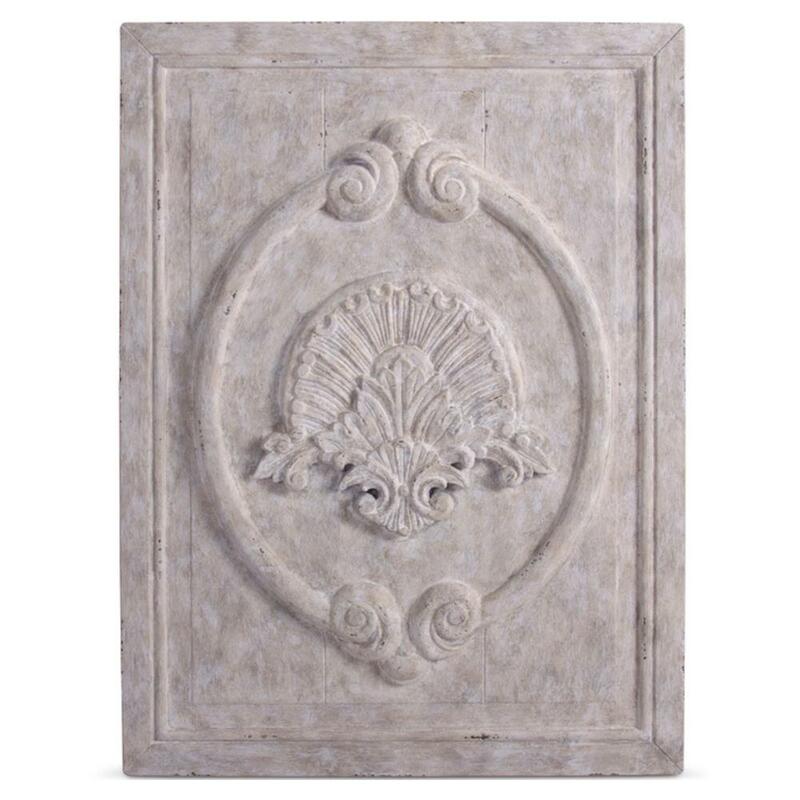 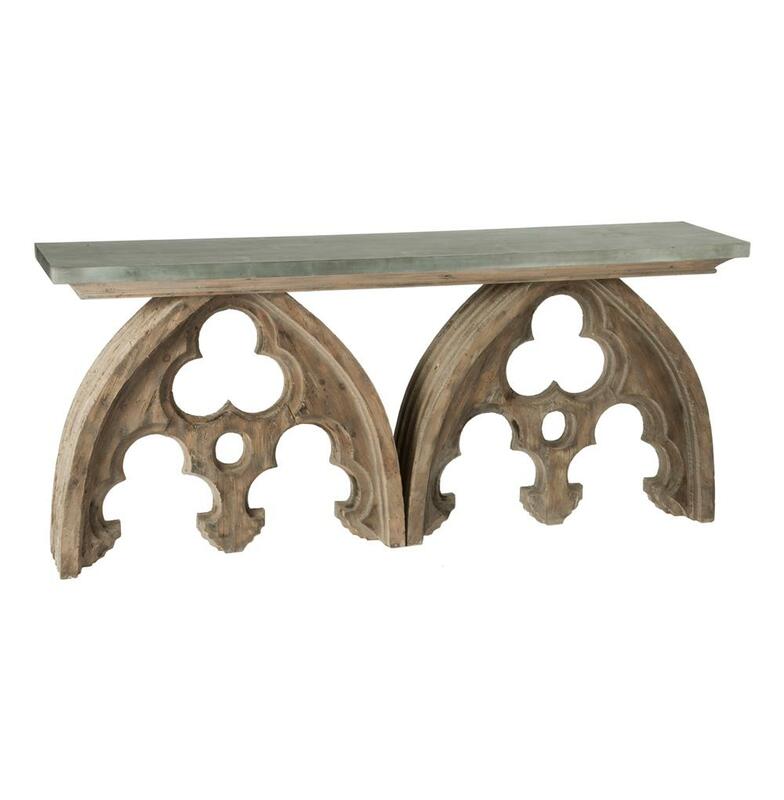 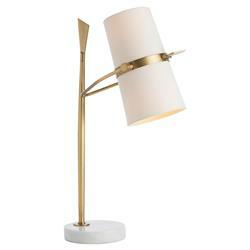 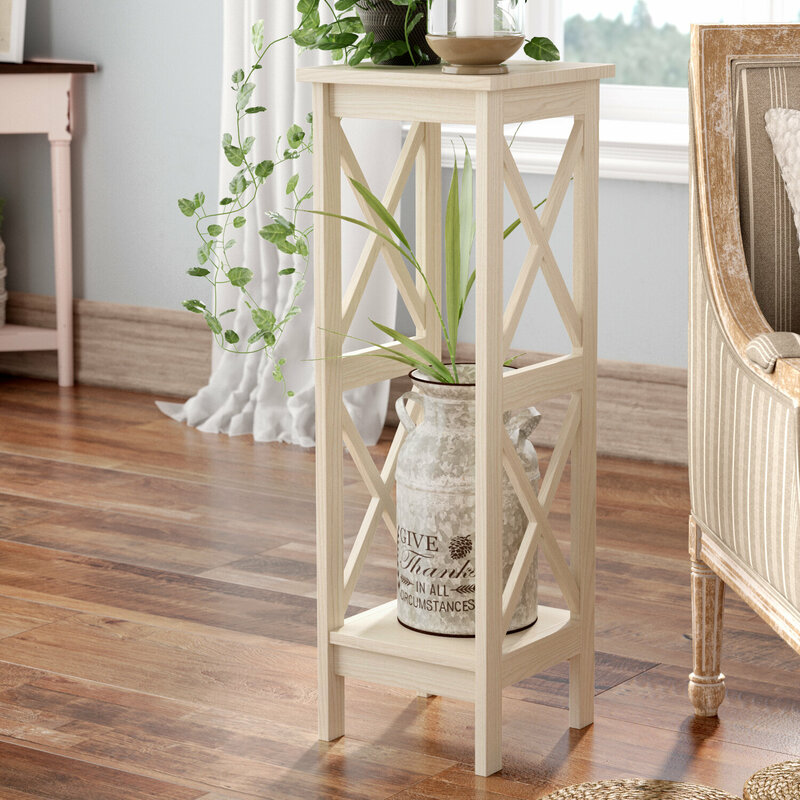 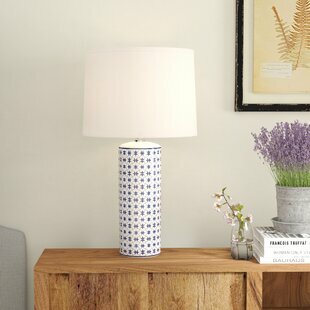 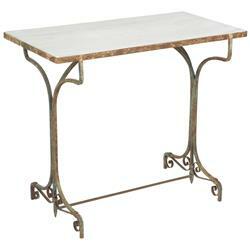 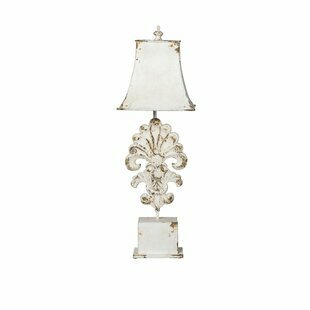 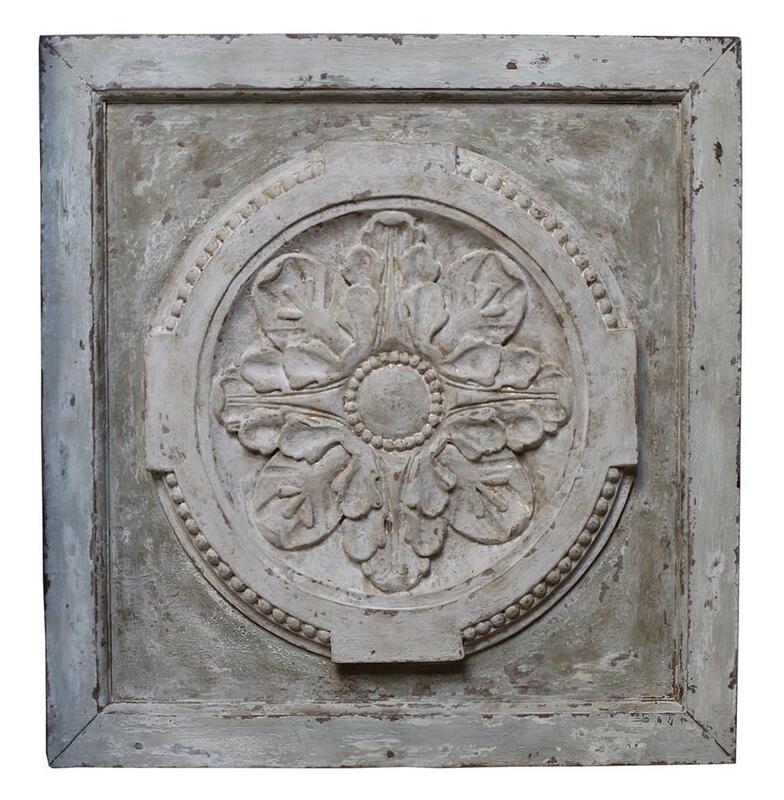 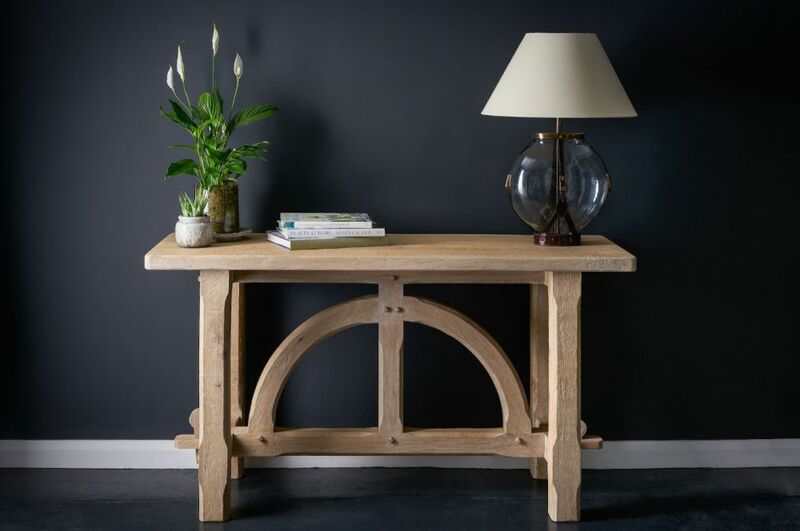 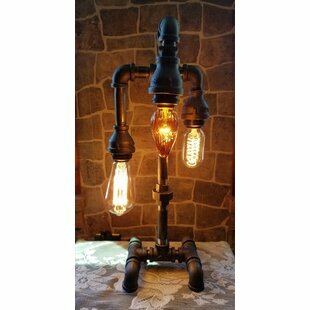 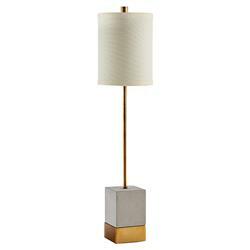 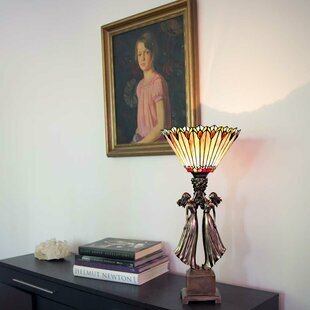 Our Iron Scroll Lamp is based on the classic metal scrollwork of an antique gate. 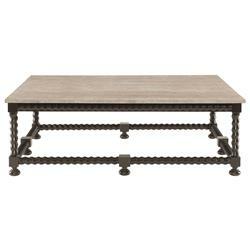 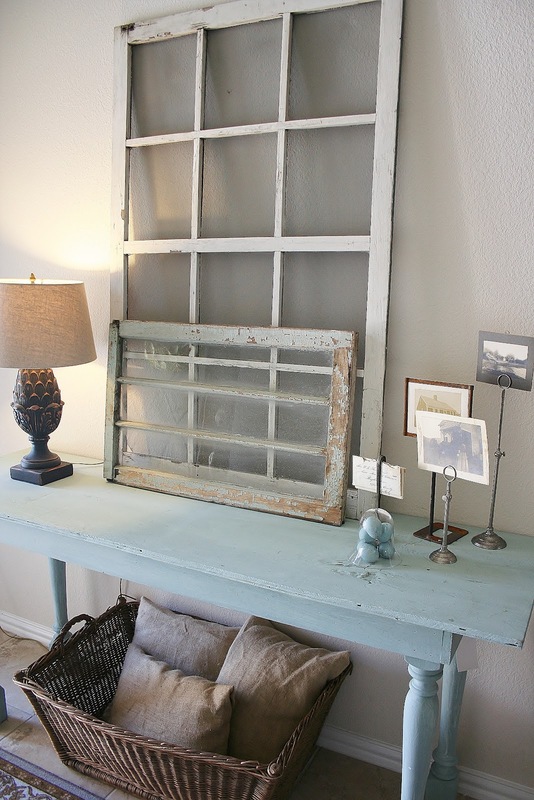 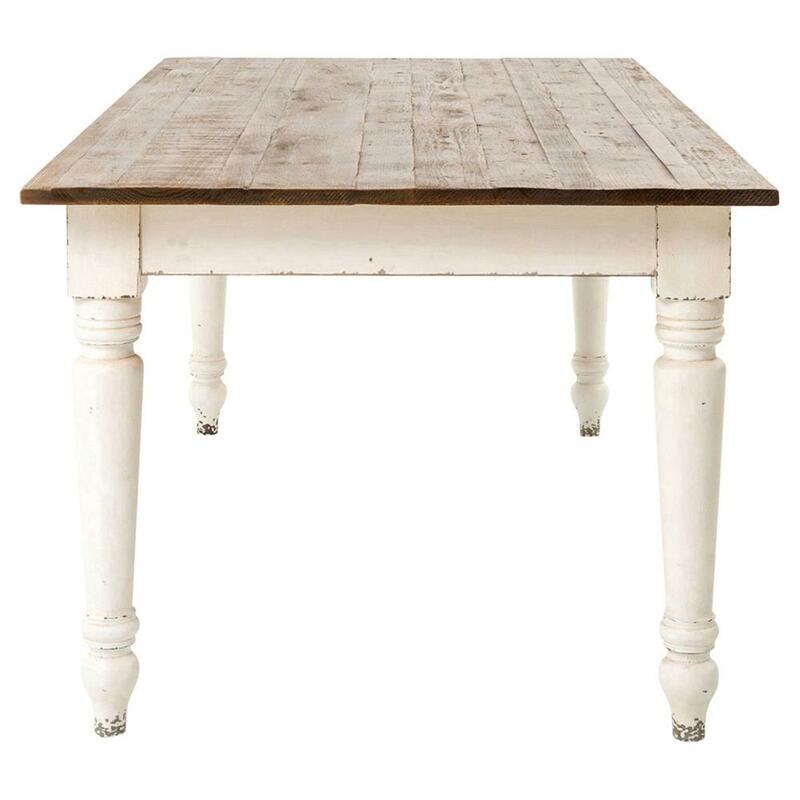 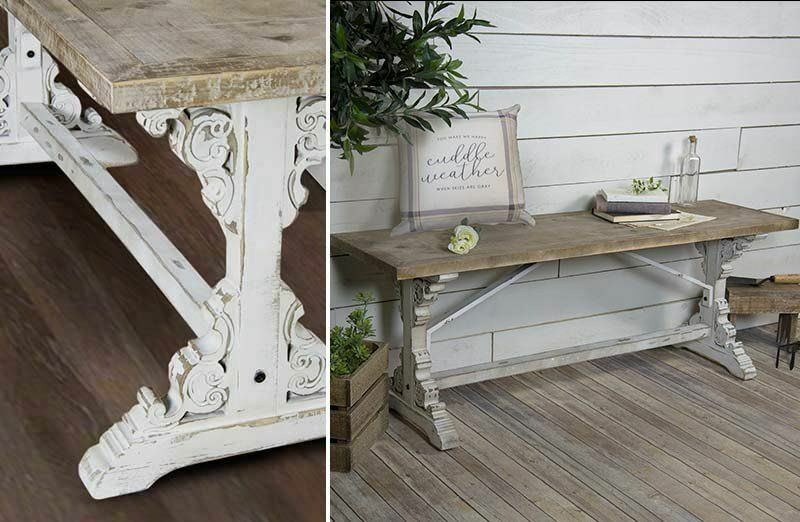 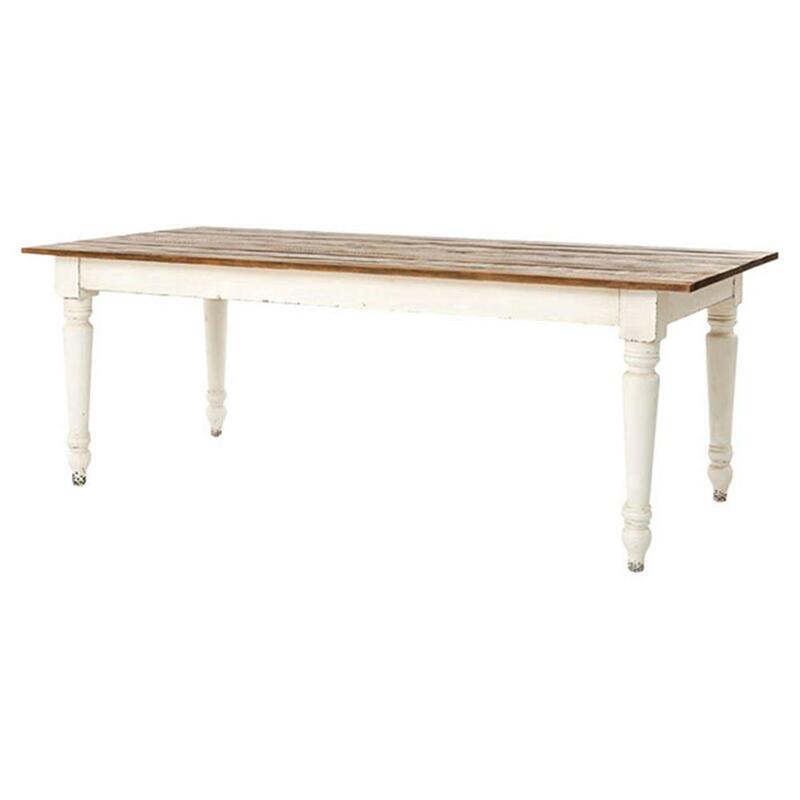 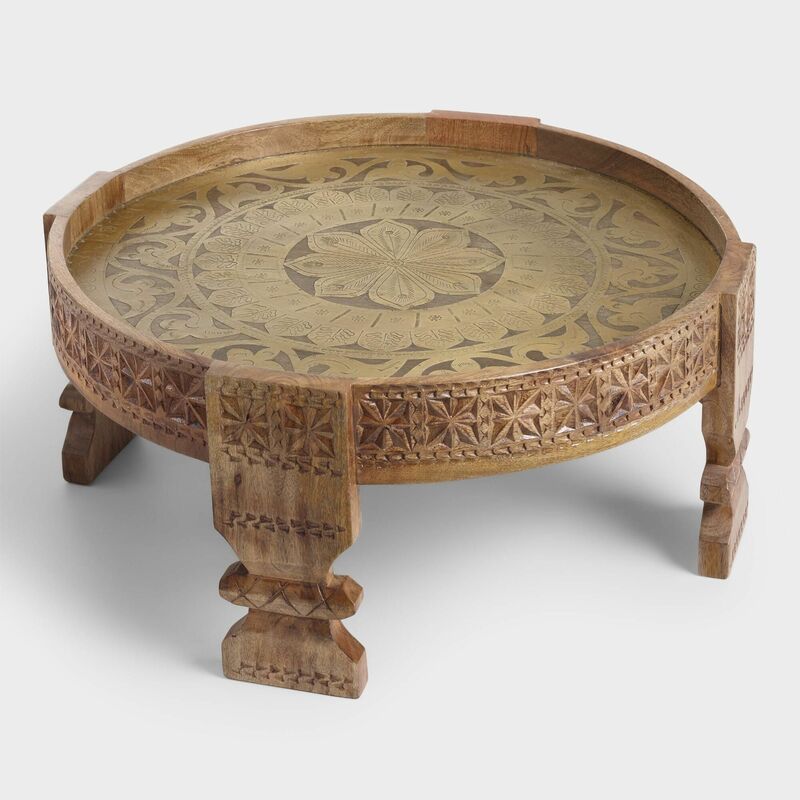 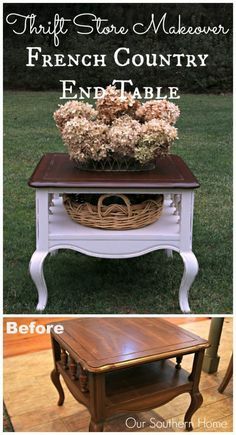 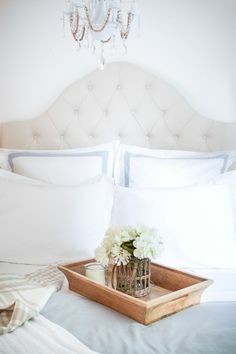 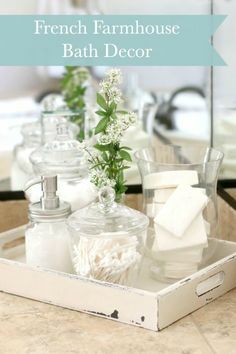 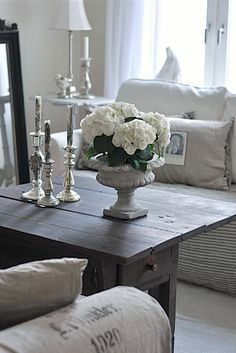 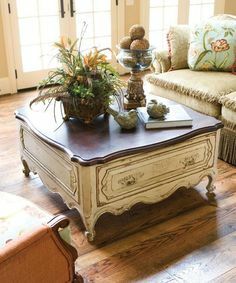 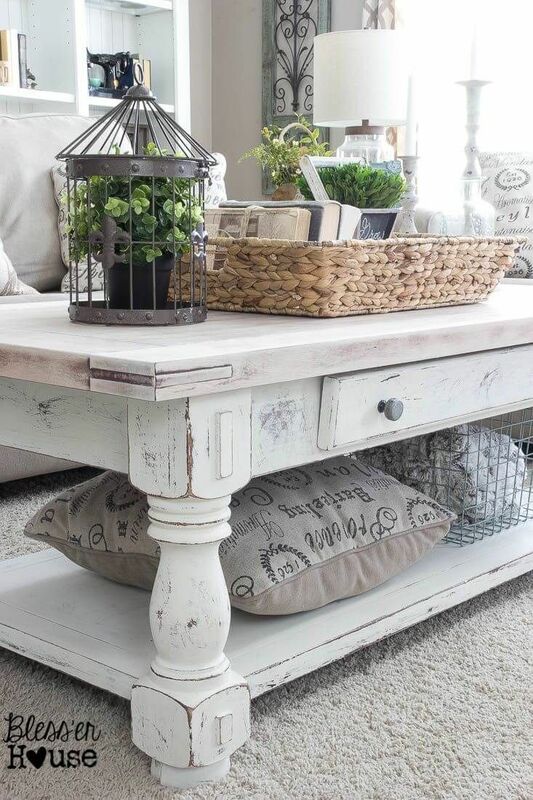 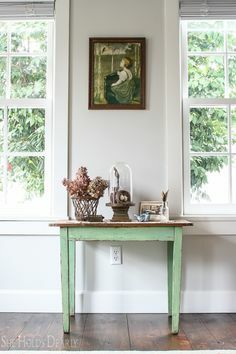 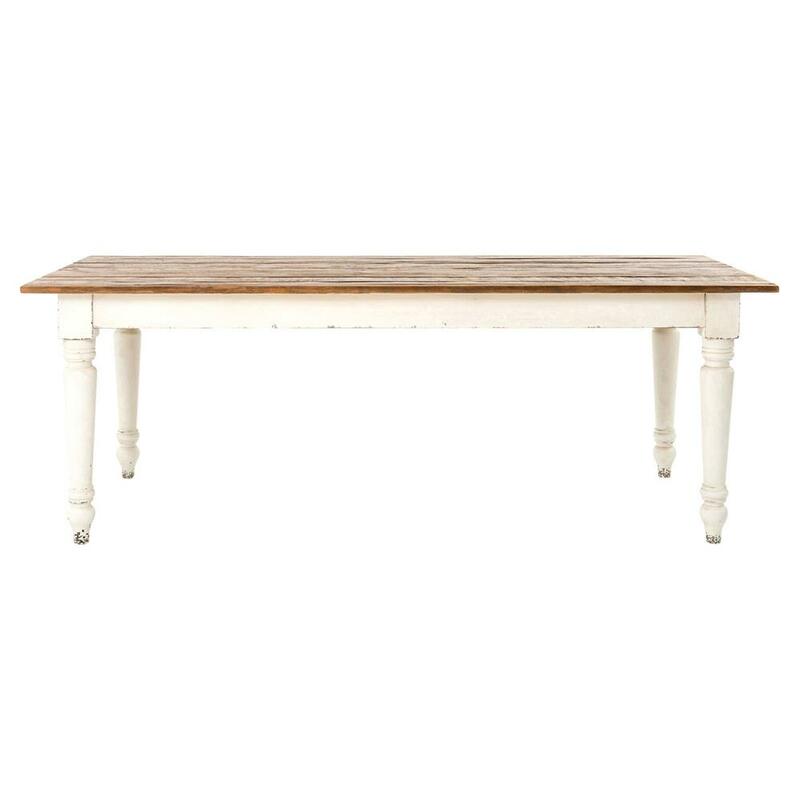 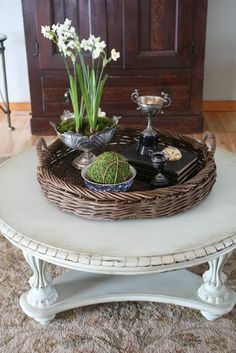 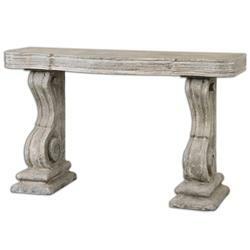 Farmhouse style coffee table in the sunroom - A lovely warm wood style coffee table style with a tablecloth on top to cozy it up. 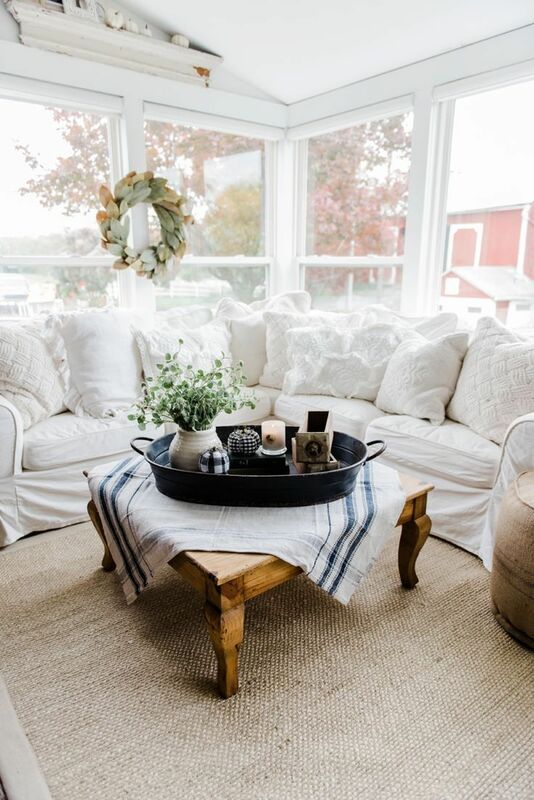 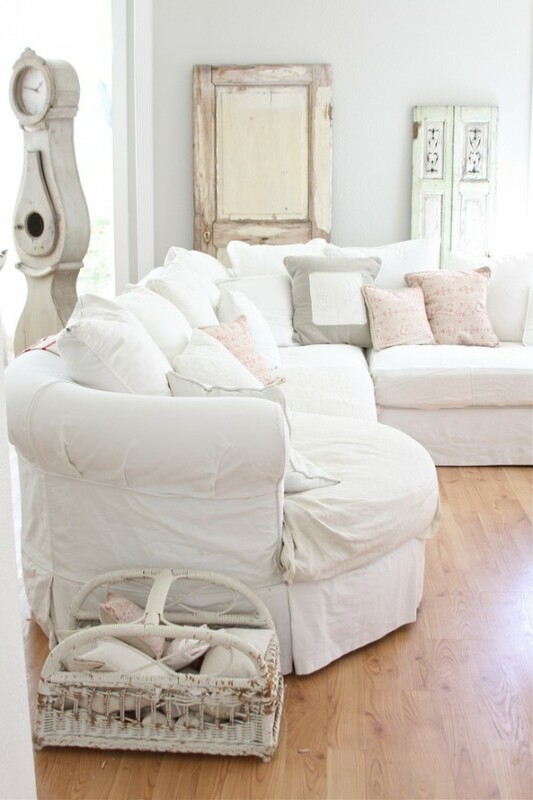 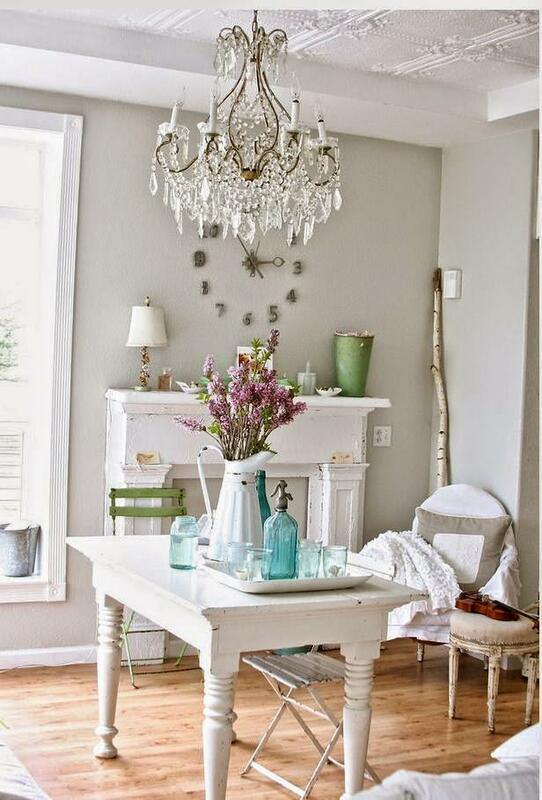 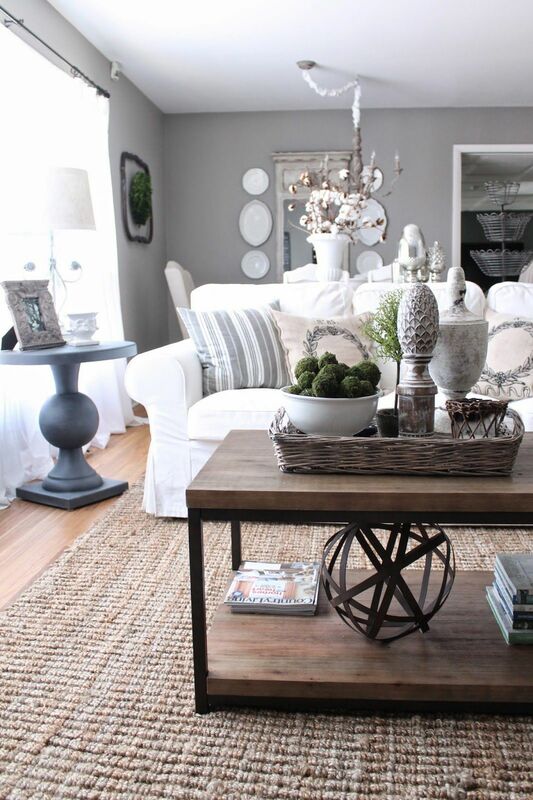 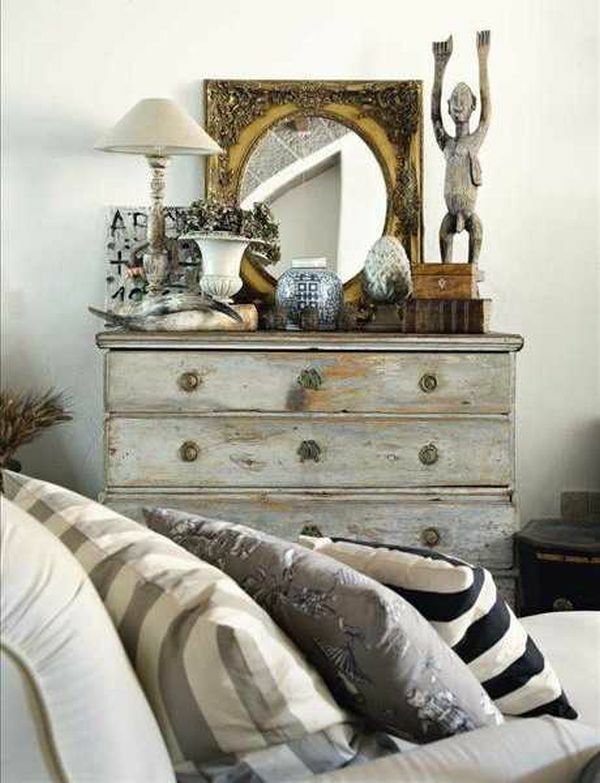 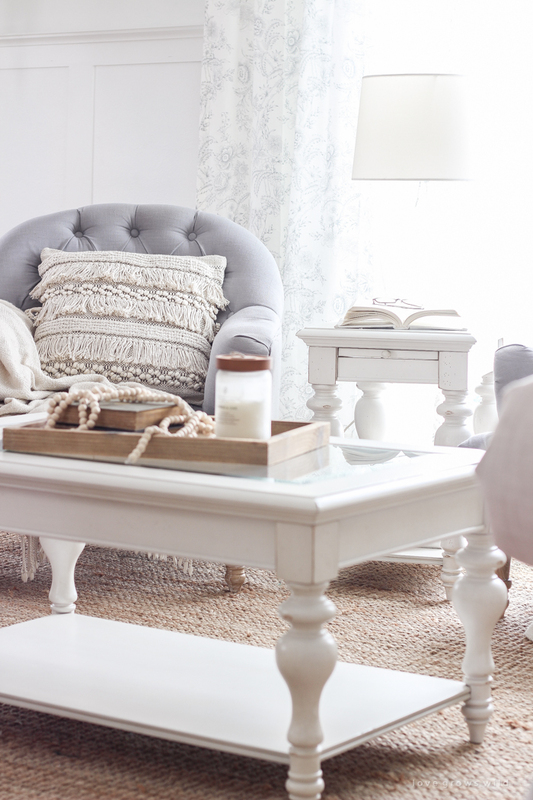 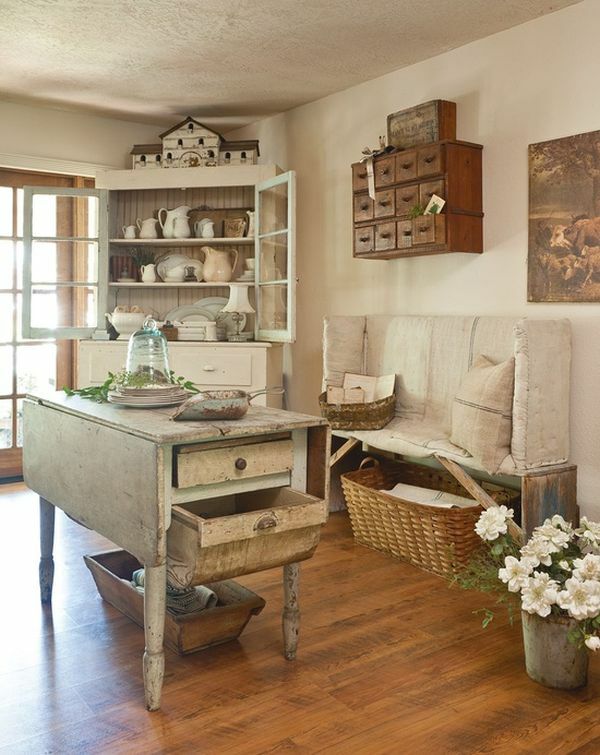 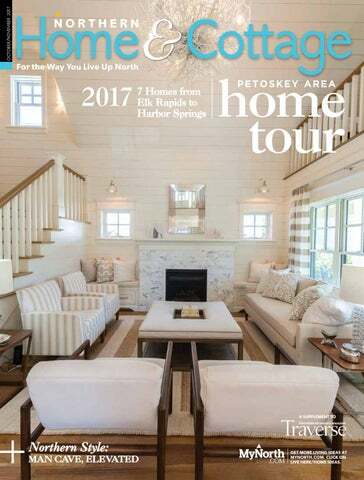 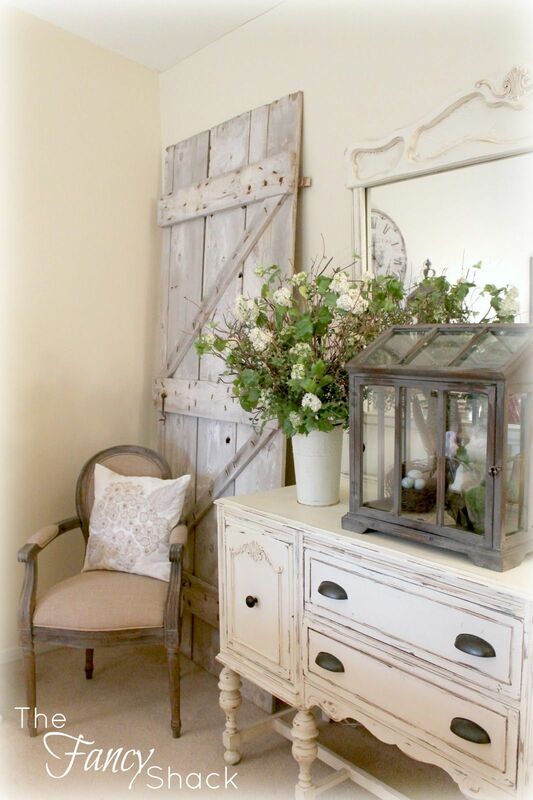 A beautiful farmhouse living room that feels cozy, bright, and totally charming!